The idea of the Pastors’ Book Group is that we all read the same book, and then meet up to discuss it over lunch. So it’s limited to people who live near north London – though there’s nothing to stop you starting your own! What are we reading? 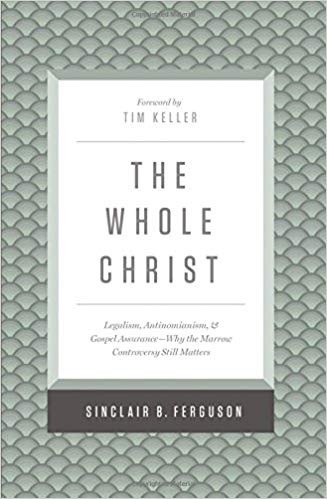 One of the best books I’ve read in recent years: The Whole Christ: Legalism, Antinomianism, and Gospel Assurance, by Sinclair Ferguson (Wheaton: Crossway, 2016). Grab yourself a copy (10ofthose have it here), and join in!